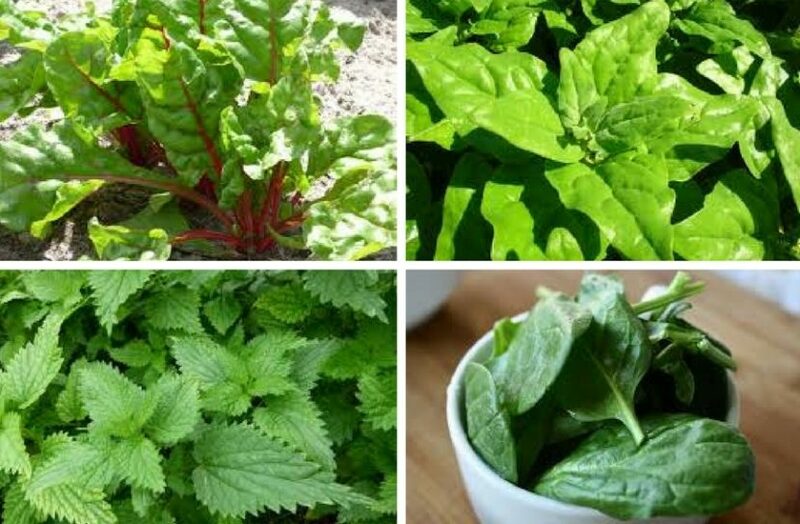 Spinach vegetables are among the first spring garden vegetables and offer a variety of vitamins and minerals. Fertilize moderately, best with home compost only, and avoid nitrogen. Use as young leaves as possible for food and remove their stems. They need soft soil, tilling and enough potassium. They don’t like excess water or being planted several times in the same place.